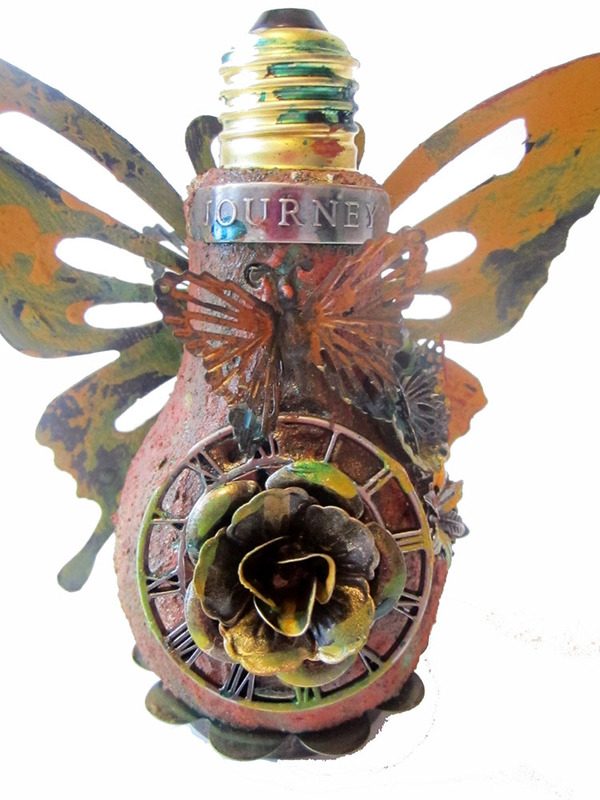 I created this altered art light bulb on the Artists Live Ustream channel on March 28th. 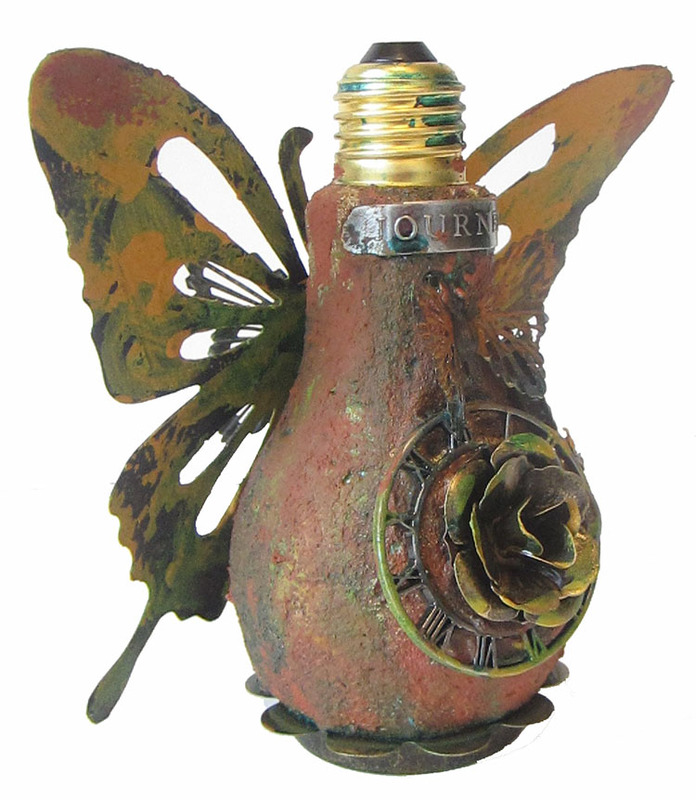 I altered this lightbulb live on the show using the new Rust Paste medium from Prima Finnabair collection. Don’t want to miss a show? Subscribe to our Facebook page and be updated on our shows. Keren this is stunning and fabulous. Gosh I love it. Finally you are back doing that kind of craft I love the most…lol….. 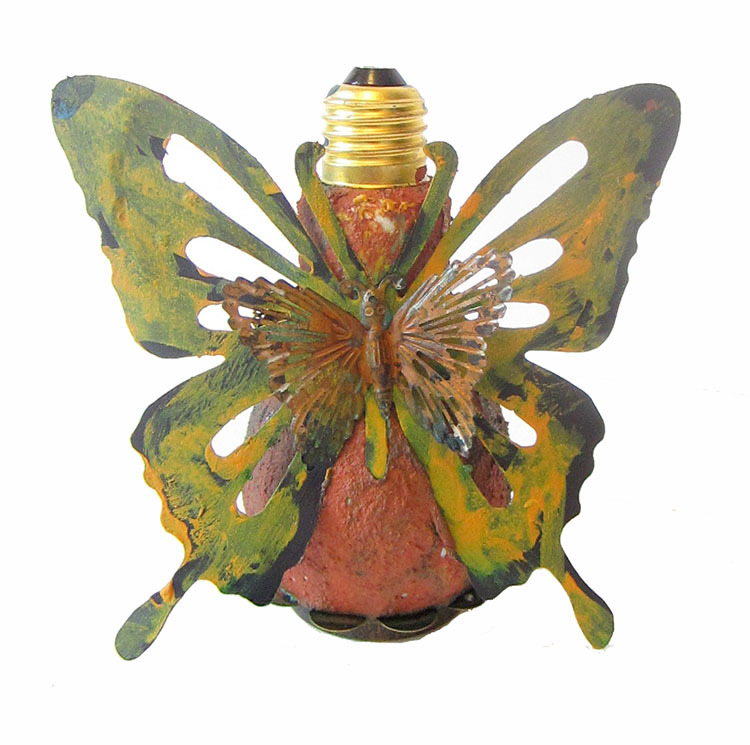 I still remember and enjoy the lightbulb and heart with wings canvases. Getting the idea to alter a lightbulb like this one is an amazing idea. 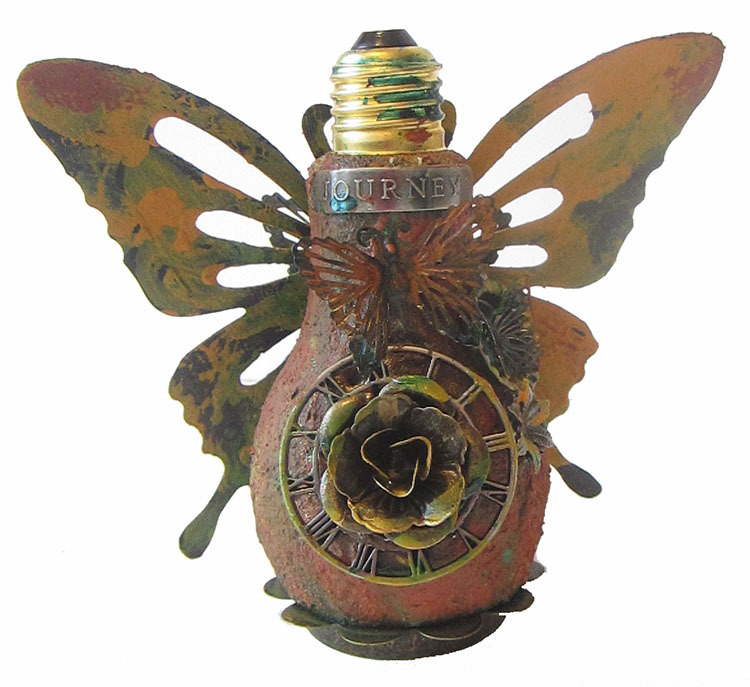 Somehow it's obvious that it represents STEAMPUNK style. And you achieved the most original genuine result. You are so creative and very skilled. Thank you for all the inspiration you provide. It's truly a blessing to me.